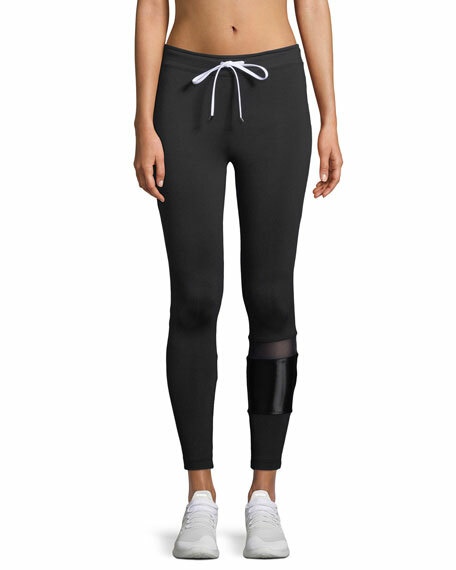 Koral Activewear "Castle" leggings in high-performance fabric. 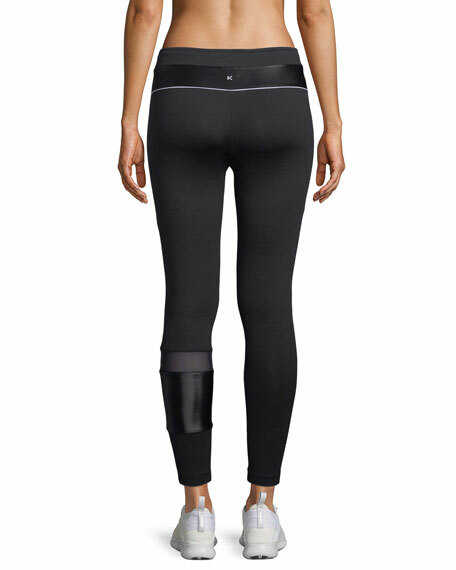 Contrast piping at back & contrast paneling on left leg. In a world where you can be anything, be unstoppable.KORAL is a luxury fashion line, designed to inspire you to live, look, and feel your best. With a strategic approach to design, we create contemporary fashion with an edge, for street style enthusiasts like you.We don't believe in chasing trends and we don't believe in fast-fashion. We believe in embracing individuality, encouraging creativity, and creating the highest quality performance fashion that compliments your active lifestyle. Creative Director, Ilana Kugel, travels the world sourcing the finest technical fabrics to design fashion-forward pieces that feel luxurious, look effortless, and last through infinite wears and washings.Beyond our ready-to-wear collections, we strive to cultivate a community of tastemakers who share our mantra - "In a world where you can be anything, be unstoppable." For in-store inquiries, use sku #2537792.